I am so thrilled and delighted to announce that my debut book has launched this March! You can get your hands on your copy RIGHT HERE using the form below. You can choose from a Standard copy or a Limited Edition Gold copy. 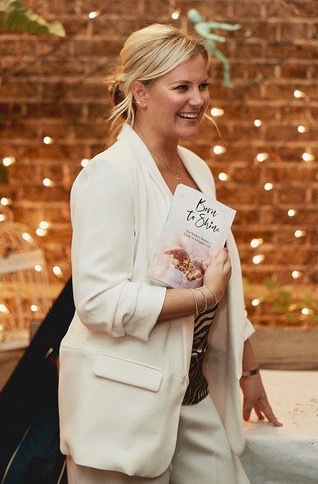 I will personally sign & send you copy – I might even smudge it with some sage too! The gold version comes with a guided meditation designed to replace common out-dated beliefs. 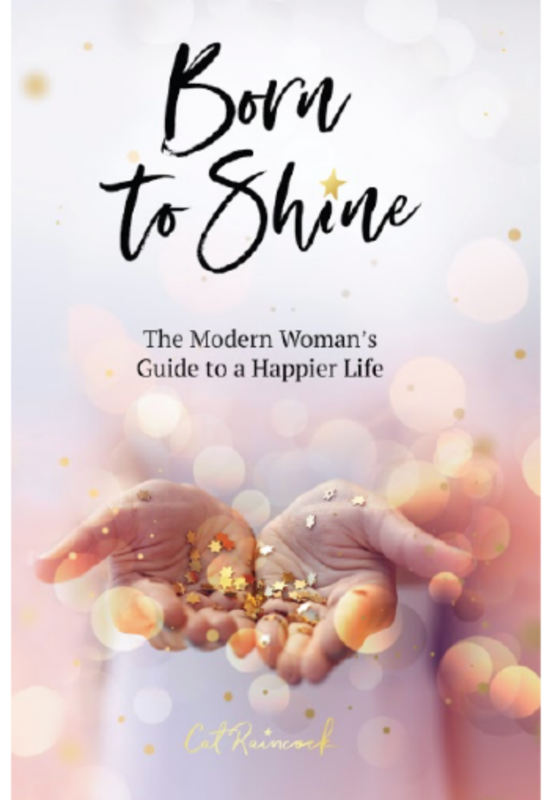 These guided meditations are designed to repair the most common out-dated beliefs that women have – ‘I can’t do it’, ‘I always fail’, ‘I am unlucky’. When you check out – simply select with edition you want. If it’s the gold one then you can decide which meditation is best for you. Simple! If you’re ready to find out how you were Born to Shine, then just fill out this form! Cat’s daughter’s birth two years later confirmed what she had on some unconscious level already known – that beneath the desire to present a perfect picture of domestic bliss and adoring motherhood to the world, unhealed pain was threatening to cause an explosion in the carefully curated life she modelled. The turning point came when Cat’s husband began seeing a life coach to help him to take transitional steps in his career. Whilst that might have been his motivation, what he received was an insight into the childhood wounds preventing his own trust in his capabilities. Cat admits that had her husband not taken the first step toward therapy, she might never have followed his footsteps into exploring the suffering which had come to underpin her life as a wife and mother. Six years on, Cat is committed to encouraging women to cast off the social and inherited shackles which numb us from and prevent us from honouring what we feel. Disconnecting us from our own peace, health and liberation. Learn why therapy and seeking professional support is a must for all women.